What are some of the ways you yourself would reply to the critics? What are some of the ways Jason Lisle responded to the critics that was helpful for you to see? This concludes the book. May the Lord bless those studying Presuppositional Apologetics! Thanks for this. The appendices of this book really helped me to digest the material in the preceding chapters. I’m seriously glad you read this book and got around to understanding Presuppositional apologetics! Ok gotta run to go to sleep now, good night have a blessed Saturday! I’m very grateful you introduced me to Lisle’s book. Have a good sleep, night owl, and a blessed Saturday, too! 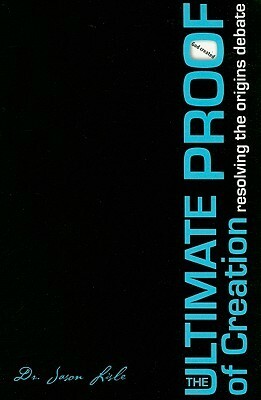 Jimmy steered me to this book and it gave me a solid understanding of the basics of presuppositional apologetics. Thank you. Jason Lisle is probably my favorite apologist. Wow glad to hear that; who are other apologists you also appreciate and enjoy? Hi brother I need you to look up a movie do you mind it’s called A Quiet Place. Please pray they are watching the movie I refuse to watch it. Sounds frightening! Praying! Who are “they” that is watching it? Are you ok??? My household finished watching the movie earlier I’m ok I just left before it started. I’m still reading it. Yes, I am a slow reader, but I’ve read enough to know that it is a great book. Thanks so much, Jim! I’m glad to hear this book is good and there’s a third person on here who vouch for it. Considering getting it myself! Apologetics isn’t my strong point. So this discussion guide with the book might be helpful.